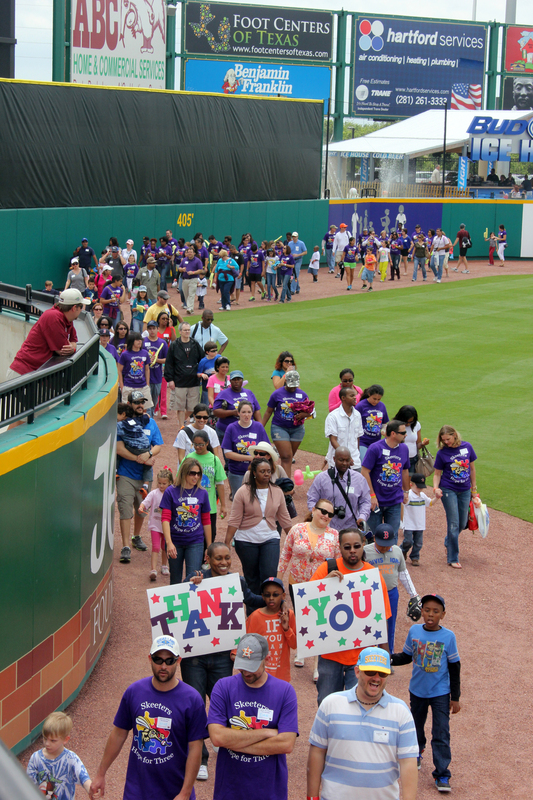 December 17, 2013 (Sugar Land, TX) – Hope for Three, a Fort Bend-based nonprofit whose mission is to raise community awareness and provide financial support to families with children on the autism spectrum, is warming up for the 2nd Annual Strike Out Autism. 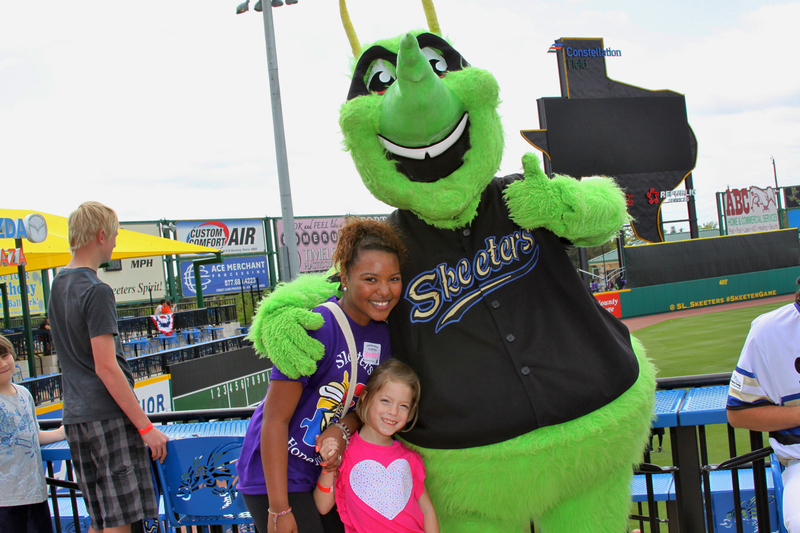 This Family Fun Day, held jointly with the Sugar Land Skeeters, will be take place on Sunday, April 27th, opening weekend at Constellation Field. Back on deck for the 2014 Grand Slam event of the year is Presenting Sponsor Rangeland Energy. The event is quickly loading up the bases with awesome support from Memorial Hermann Sugar Land and many others. 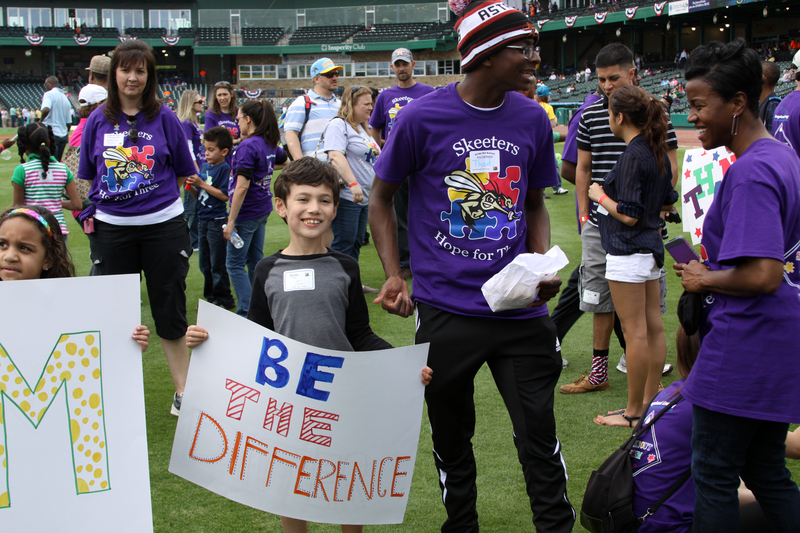 Photos A-C: Over 300 volunteers hosted 400 members from the autism community at the inaugural event April 2013 at Constellation Field. Photo D: Hope for Three Board members get ready to load up the bases with Skeeters’ Deacon Jones & Presenting Sponsor Chris Keene of Rangeland Energy. Photo Credit: Brenda Perry.